At the weekend I found myself experimenting…and it was only 7.30am!! 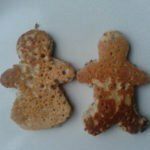 As regular readers will know, we have my breakfast pancakes most mornings, but I felt like a change! Instead of doing my usual recipe, I therefore created these little beauties, inspired by a recipe by Lorraine Pascale (I do find her recipe books particularly inspiring). 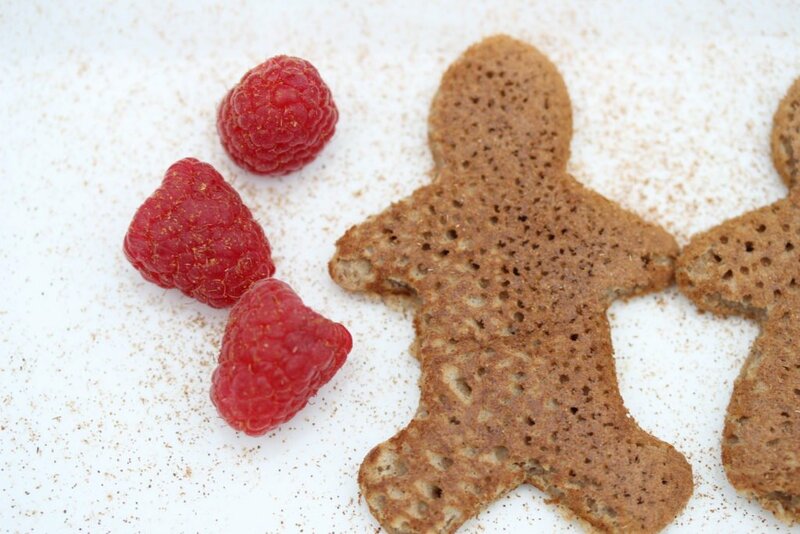 You don’t have to be as sad as me and make them into gingerbread man shapes! But sometimes a morning needs a little brightening up…and these certainly did that! If you fancy impressing your boyfriend or husband, why not cut them into heart shapes?! Meanwhile place a large frying pan on a medium heat. If you have a good non-stick pan there will be no need to add any oil to cook these. Add the egg and milk and hand whisk until you have a smooth mixture, rather like thick double cream. The amount of milk you need will depend on what flour you use so add it slowly. Once the pan is hot, place tablespoonfuls of mixture into the pan. I get 5 or 6 in my pan. Leave for approx. 1 minute until bubbles start rising to the surface. Carefully turn over and cook until golden on both sides. The first batch will take longer than the rest unless the pan is really hot before starting. 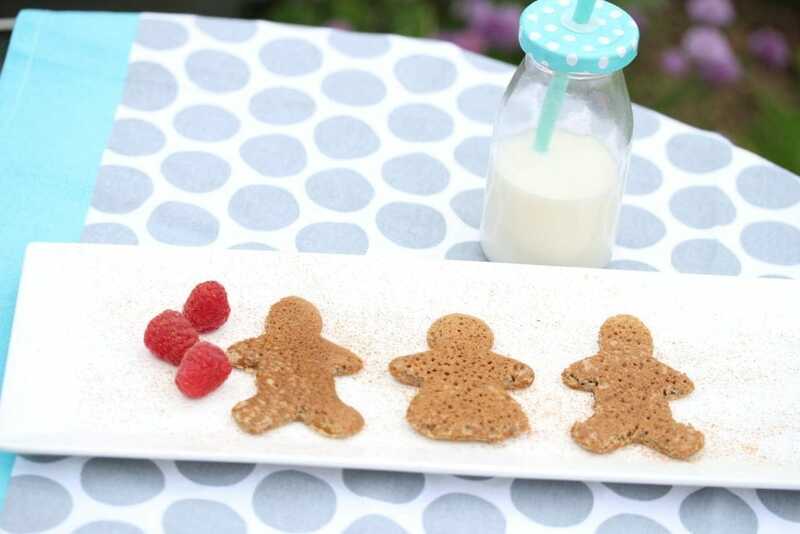 Use a mini gingerbread man (or lady) cutter to cut out your shape. These look great, must try! Hi Helen. Thanks for your comment! You really must try these, they are delicious AND healthy! Bonus! Hi Jenny, thanks for your comment. It was good to meet you at Blogfest, even if it was only to say a quick ‘hi’…I didn’t end up seeing you again typically! Hope you feel better soon. They are rather fun and very delicious too!! Hi Renee. We have pancakes every day for breakfast…but these are particularly nice and don’t get made every day!!! 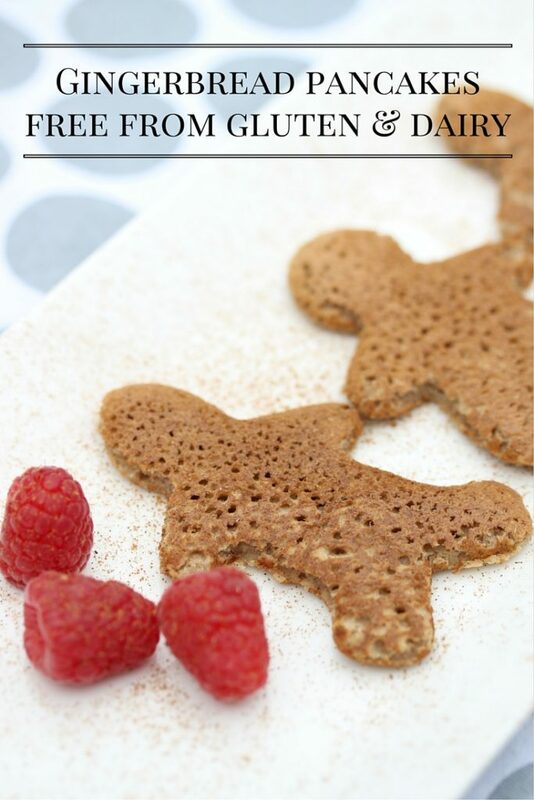 These look yummy and I hadn’t thought to add ginger to pancakes – what a great idea! Ginger goes in a lot of things here! 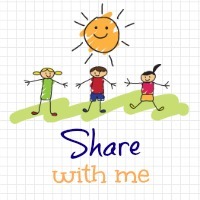 I love it and so do the kids!